This appeared in my social media feed today. The quote is from 2009 and apparently appeared in a local newspaper in Illinois. 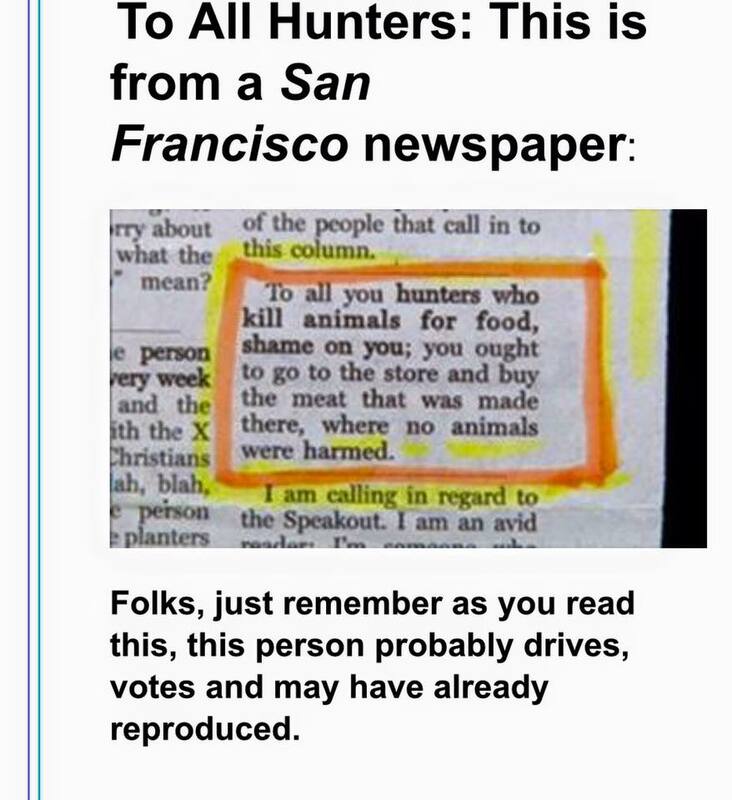 It has nothing to do with a San Francisco newspaper. Some one really did call a local newspaper in an Illinois town – in 2009 – and leave this message on their Speakout line, which is a letters to the editor feature implemented with a voice message system – call in and leave a message. The original no longer appears to be online but comments referencing the comment appeared a few days later and are available in the Internet archive. More here and here. No one knows if this was done by the clueless or if it was intended as satire.